A jQuery plugin designed to facilitate “radical web typography,” Lettering.js allows designers the ability to set dynamic and eye-catching typography that would be either prohibitively difficult or impossible to do using other methods. The goal of Lettering.js is to give you complete control over a web page’s type, right down to the manipulation of individual letters. A popular concept in typography that aids in the spacing and arrangement of beautiful, easy-to-read type is called typographic rhythm. This is the idea — well established in the typography world — that the relationship between text and space in a document creates a visual rhythm, which affects the overall aesthetic tone and readability of the document. In web pages, when body text is interspersed with images, tables, blockquotes and other elements, it can become difficult to maintain vertical rhythm without sacrificing content editing and flexibility. The jMetronome plugin for jQuery helps make it easier to maintain the typographic rhythm of a web page even with the addition of non-textual elements. FitText helps you with typesetting, especially when crafting responsive web designs. The plugin automatically scales your text elements depending on the browser’s viewport size. An example scenario would be if you would like your headings to scale down when viewed in mobile devices to reduce the screen real estate they take up. This jQuery plugin provides web designers with the ability to make text objects change depending on the proximity of a user’s mouse cursor. For example, a designer can use Approach to configure a text element to grow smaller and lighter as the cursor approaches it, and to expand and become darker as it gets further away. This is a great plugin for designers who want to provide users with an interactive experience upon visiting the site. The jqIsoText jQuery plugin is a simple plugin that does one thing: It renders an arching effect whereby the characters of the target text element get bigger as you approach the center and then tapers off as you get to the last character. It mimics, to the best of its abilities, an isometric/reflective appearance. It’s an interesting, fun and single-purpose plugin that might be useful for calling attention to important text content using distinctive design principles. The Airport jQuery plugin is a text-animation plugin that mimics the old, flickering schedule/information boards you used to see in airports, train stations, bus stations, etc. This plugin provides you with the ability to creatively style and animate text that you’d like to garner attention. The jQuery sIFR Plugin allows for the easy implementation of sIFR (Scalable Inman Flash Replacement). Though most mainstream web browsers do offer text-resizing functionality, many Internet users aren’t aware that these features exist and might appreciate an in-page way to resize text. The plugin works in tandem with the jQuery Cookie plugin so that it’s able to remember the user’s settings when they next visit (if they have cookies enabled, of course). Another similar plugin to check out is Font Resizer. The BigText jQuery plugin is simple: It automatically sizes your text to fit inside its parent element. This results in, among other things, perfect justified alignment (though typically justified alignment is achieved by altering the spacing of characters and words, not through font size). What’s great about this plugin is that it works in dynamic, editable text areas so that as the user types, the font resizes. 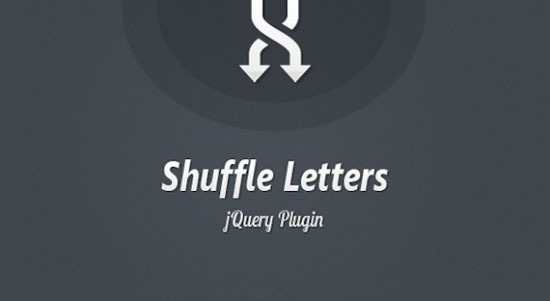 Nice useful info about JQuery animation Plugins. Really helpful to learn about it. Thanks for sharing!